I don't mind admitting -- I'm flat out exhausted. 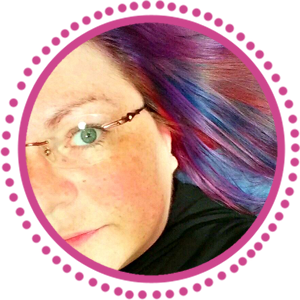 I've been working and working and working preparing for two December shows, making lots of custom orders, sending out postcards, working on beading challenges, trying to finish Christmas shopping, all while battling the return of my neurologically despicable headaches. The return of the migraines and color blindness has shortened my work time dramatically. However, I've been able to make a few things and wanted to preview them here, get your opinion, and offer them for sale first to my faithful blog readers. You guys just blow me away. I don't take you for granted. At ALL. So here's some eye candy, and you can email me if you want to snag anything before Black Friday, and in the meantime, I'll be catching up on reading your blogs! 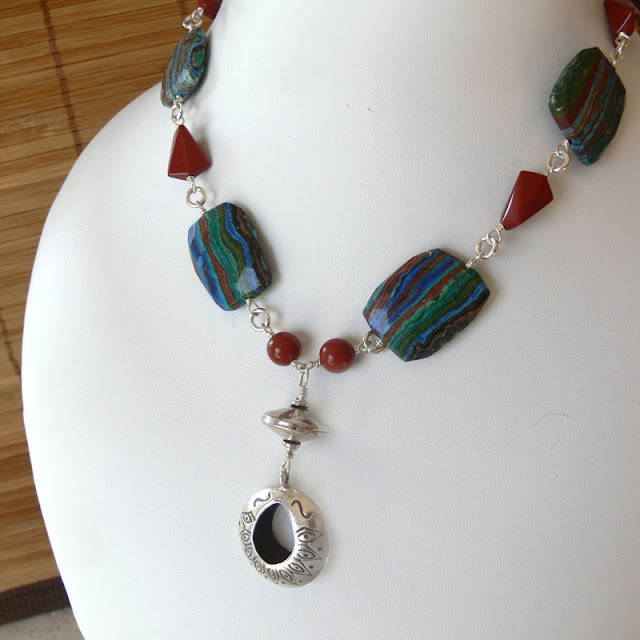 Rare rainbow calsilica, red jasper, and Thai silver necklace, $120 (on sale for $108). Handmade frosted glass and handmade aluminum chain, $150 (on sale for $135). 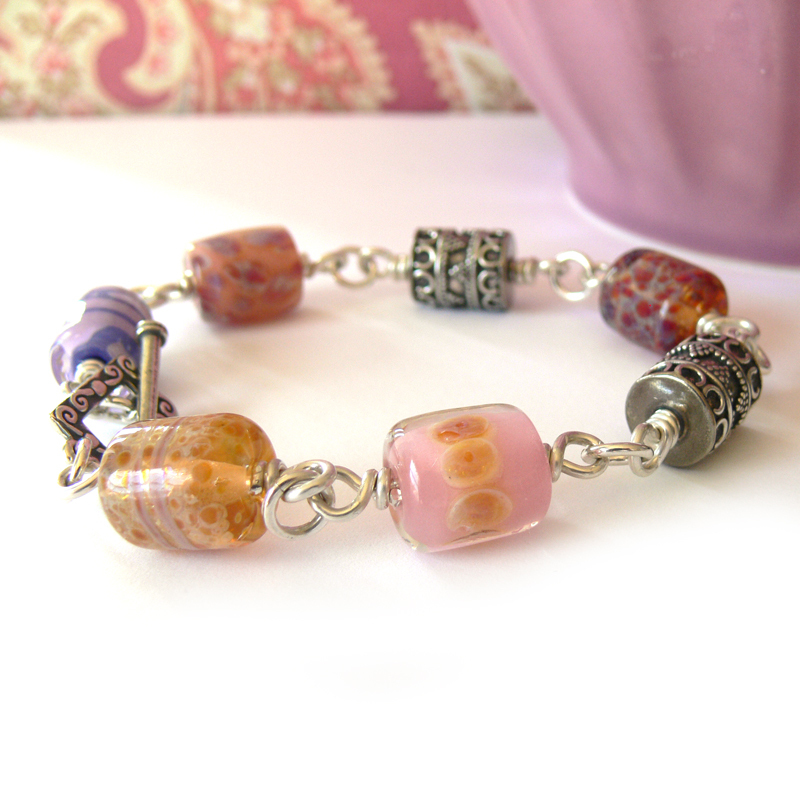 Handmade lampwork glass bracelet, $80 (on sale for $72). Are you having crazy weather, we have been dumped with a ton of snow and temperatures are -21C. I love all three designs, the rainbow calsilica is so pretty. I hope you feel better soon. Lori darling, I LOVE the frosted glass necklace. How stunning! I'm so sorry to hear of your headaches returning. It makes it hard to focus. Kudos to you for plunging ahead to get 'er done! Hope your weekend is magnanimous!!! The frosted glass necklace is amazing! Absolutely wonderful. I am sorry about the headaches! It would be hard to choose a favourite out of these lovelies! I am so sorry to hear that the headaches have returned. I do hope that they will disappear soon. Oh, and I always love reading your blog. 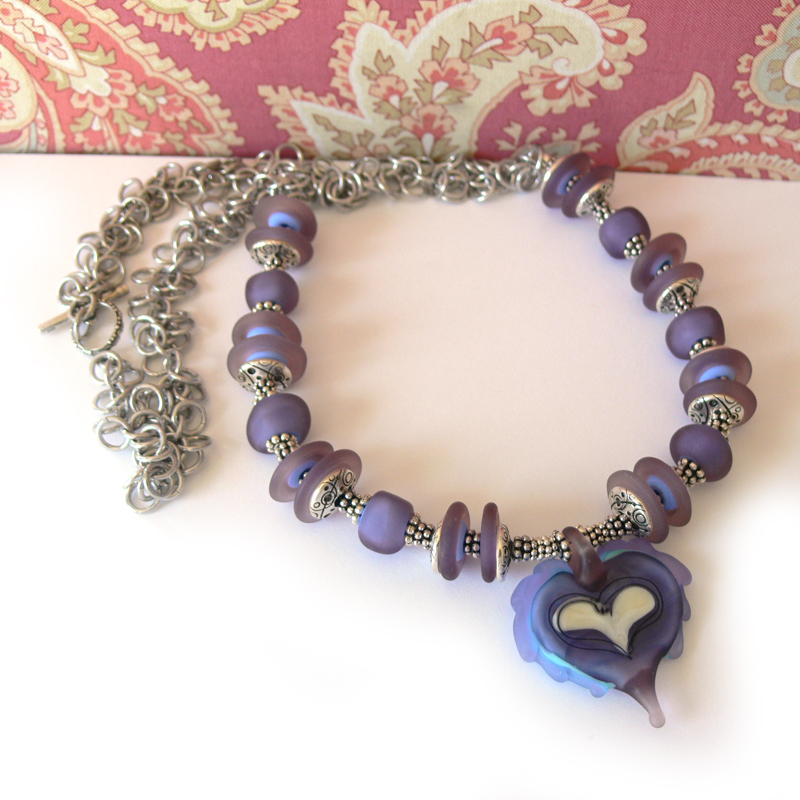 I LOVE that frosted purple glass heart necklace! It's awesome! Hope the headaches clear away soon. I get migraines so I can totally sympathize! They are all fabulous but my favorite is the Thai silver necklace. 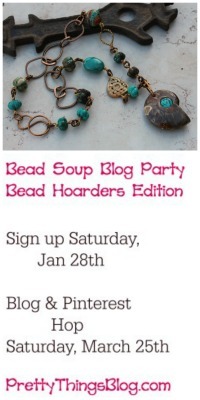 Maybe a "day off" from beading and everything else would help your headaches. Sure sorry they're getting in the way of life right now. Wow the rainbow calsilica is beautiful! Love how you put it all together. Headaches are debilitating... hope you get relief soon. wow what talent you have. Handmade frosted glass....just beautiful! sorry bout the migrains. mine triggered by sents and leaf mold. Hope ur showes are awesome. I love that frosted heart necklace - it's gorgeous! I hope your headaches clear up really soon. I am so sorry you have been battling migraines, it is so hard to do anything at all with one of those. 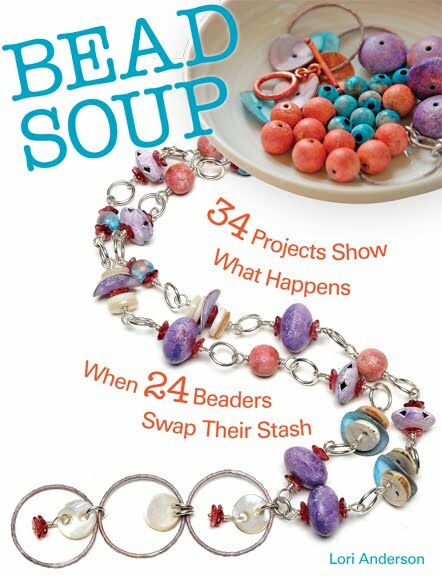 The jewelry is beautiful, I especially love the lampwork bracelet. I am so so sorry to here about your terrible headaches. I can't imagine how hard that is to deal with. You are amazing that you are moving on and still doing things with them in the background. I hope that you start to feel better soon. Hang in there and have a wonderful weekend. I can so sympathize about the headaches... hope you feel better soon. All three pieces are lovely, and that frosted glas is stunning. Lori, every piece is awesome - I'm especially in love with the frosted necklace. My favourite is the one with the stripey stones. What are they ??!! Hope your headaches are better soon. wow- all of this is amazing. Absolute Lori A. style. Love them all. Hope you feel better soon. My goodness. What beautiful jewelry! I just love every piece. 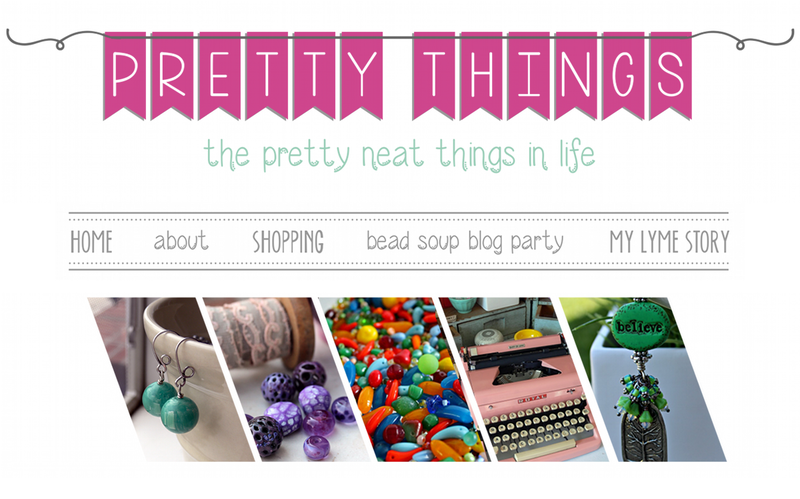 Thanks for visiting me at my blog and for the sweet comments. Hilda says Hi! These are beautiful, Lori. Great job! Your work is just gorgeous. I'm loving the components that you're using. LOVE the first necklace with the rainbow calsilica! Get to feeling better soon. Exquisite pieces Lori...your amazing how you push through and create. Hope it eases up for you real soon.